The Iranian Red Crescent Society says due to the unilateral sanctions the US has imposed on the Islamic Republic, no international cash aid has ever reached and handed over to the people affected by the recent floods, which have so far killed at least 76. “Because of the sanctions, there is no financial channel to transfer cash money to the Iranian Red Crescent Society. All international banks in which we have foreign currency accounts are under the US sanction. Earlier, some international bodies and countries expressed their preparedness to contribute to aid operations by dispatching cash and non-cash aid to Iran but due to the US sanctions, all financial channels to receive the cash aid are blocked,” the statement by the IRCS read. 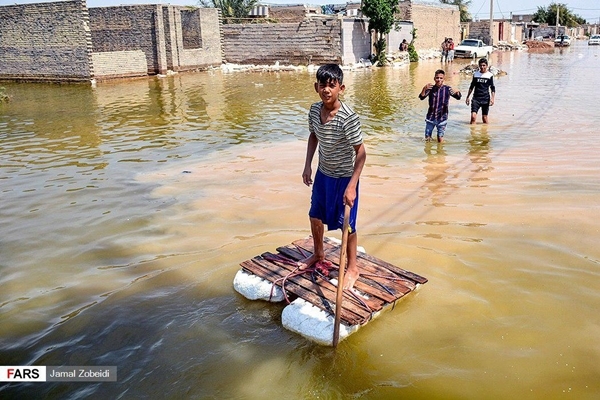 Following the devastating floods which began to hit Iran on March 19, some international bodies and charities expressed their sympathy with the Iranian people and said they’re ready to send cash and non-cash aid to the flood-hit country. Over the past few weeks, there have been some contradictory reports on aid contributions to the Iranians struggling with floods. However, the contradiction comes because the media reports don’t distinguish between cash and non-cash aid. There is no impediment to receive non-cash aid convoys imported to Iran but the US sanctions have made it impossible to deliver any cash aid to the Islamic Republic. Over the past week, at the request of a growing number of Iranians living abroad, a financial channel was established to attract cash aid for the flood-hit people but the channel was immediately blocked due the US sanctions. So, the only available way for the Iranian diaspora as well as other countries’ residents to contribute to cash aid to the flood-hit areas is a charity channel named Donit set up by Germany’s Red Cross.